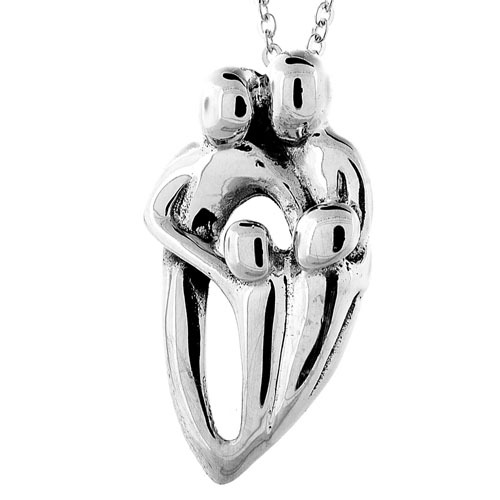 Celebrate your family with a stunning sterling silver pendant that captures Mom, Dad and child in a simple yet striking design. 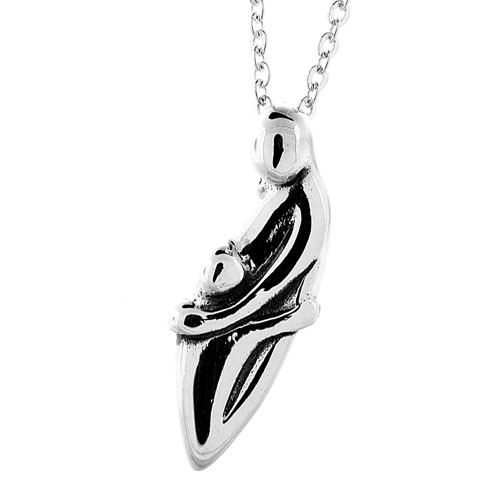 This precious necklace can be treasured and enjoyed for years to come. Length: 18”.